Georg Kacher is an automotive journalist for Süddeutsche Zeitung, the newspaper of record for Munich, Germany. 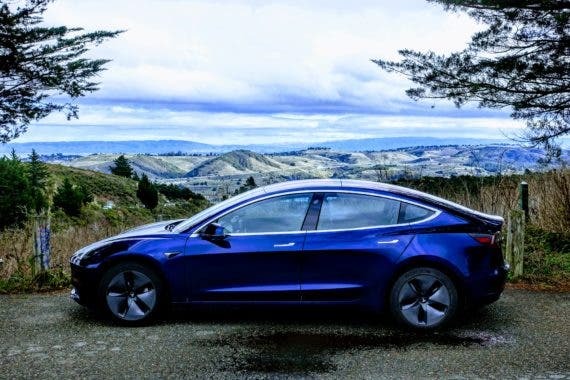 In an article published on February 16, he reports that no fewer than a dozen Tesla Model 3 automobiles are in Germany and being torn apart to learn their secrets. It is known as “benchmarking” in the industry and it’s an important part of all manufacturing in the modern world. Kacher says a major German car company got its hands on a Model 3 toward the end of 2017. It reportedly paid €185,000 for the car (about $230,000 at today’s exchange rate) or roughly 5 times its sticker price. Some lucky Model 3 owner made a killing on that deal. Once it arrived in Germany (Munich is home to BMW, by the way), the car was made available to several top executives before it was disassembled. We reported recently on another Model 3 that was dismantled and studied by Munro and Associates in Michigan. Such teardowns are standard procedure for companies that want to know what the competition is doing, how they are doing it, and how much it costs them to do it. Kacher says the powertrain and electronic controls systems of the Model 3 really knocked the socks off the German engineers. He reports they were astonished by how “compact, expandable, fully integrated, modular, easily accessible, well protected, low priced, and astonishingly clever” the Model 3 is in so many ways. With its trimmer exterior dimensions, the Model 3 is better suited to navigating the narrow streets found in many German cities than the Model S or Model X. It is an appealing design with extraordinary comfort for the driver and passenger, coupled with enough range to meet normal driving needs in daily use. It also has outstanding performance for what is supposed to be an entry-level car. What really took the German engineers by surprise is not what went into the Model 3, but what didn’t. The central touchscreen eliminates the need for miles of conventional wiring, for instance. The interior, Kacher writes, is “reminiscent of a completely cleared, black-washed Bauhaus living room.” The most important reference point for eyes and forefingers is the 15-inch touch screen, which is mounted exactly in the center. When Munro tore down the Model 3, owner Sandy Munro was harshly critical of the build quality of the Model 3, calling it nearly as bad as a ’90s era Kia. There were no such complaints from the folks in Germany. What they saw was world-class engineering and imaginative solutions to common design and manufacturing issues. The lessons learned from benchmarking the Model 3 will cause them to raise their game to meet the challenge posed by the Model 3. Save for a few quibbles, they recognized that none of their companies are currently building a car as unique and technologically advanced as the Model 3. If Tesla can figure out how to build them in mass market quantities, those other guys could be in big trouble. Thanks to CleanTechnica stalwart Dan Allard, who took time away from tending to his livestock to alert us to this story.